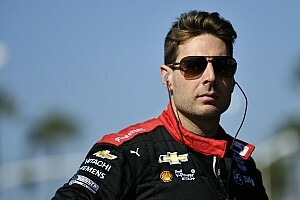 Single-file racing in NASCAR's Daytona week so far has led to concerns about the show in Sunday's Monster Energy Cup Series season-opening 500. 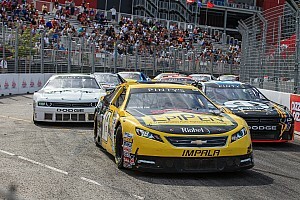 Last weekend's non-championship Clash race, Thursday night's Duel qualifying races and Saturday's Xfinity Series opener were all characterised by long periods of cars running single-file and protecting the high line. 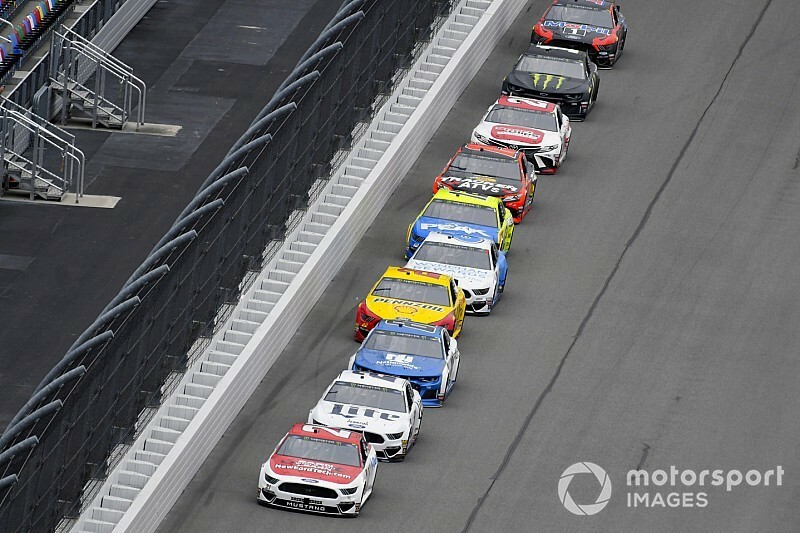 The Daytona 500 is an anomaly in the revised 2019 Cup rules package – featuring horsepower reductions and aerodynamic changes to try to stabilise the cars and improve the racing – and is the final time the restrictor plate system will be used. Retired driver Dale Earnhardt Jr, whose JR Motorsports team won the Xfinity race with Michael Annett, admitted he was worried. “I don't know what's going on with the high line becoming just so clearly dominant,” he said. “It doesn't seem like it's entirely by choice that they all ride up there. It's by necessity. 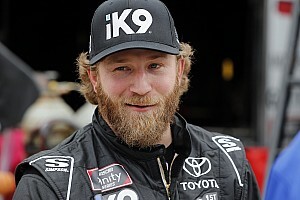 “We're going to have a completely different package when we go to Talladega so it could be a non-issue, but the Xfinity cars and the Cup cars are not entirely similar and they both reacted the same way and did the same thing and raced the same way. Many drivers have cited the fact that passing is easiest on the outside, so the high line is being monopolised because they do not want rivals to get a run to their right. 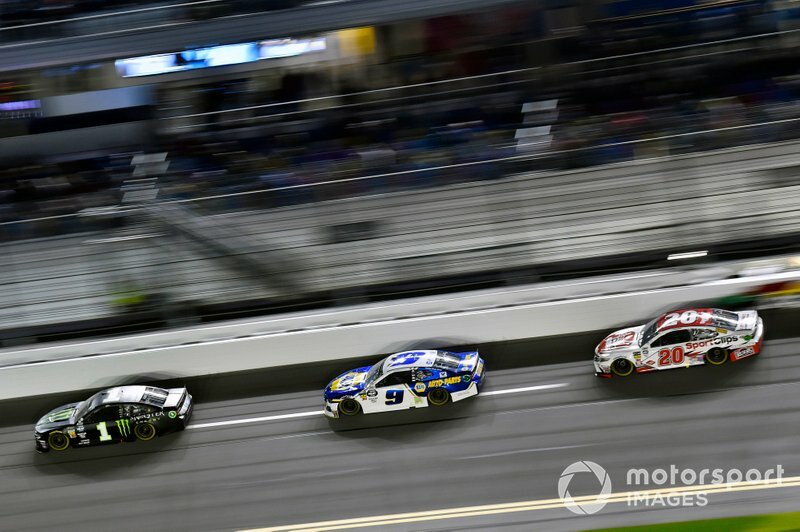 Roush Fenway driver Ricky Stenhouse Jr spent “the last 25 laps trying to figure out exactly what I was going to do” in the first Duel as he chased leader Kevin Harvick, but “nothing really materialized” in terms of passing opportunities. “Everybody has just learned that if we keep cars away from our right rear quarter panel, we can kind of defend our position,” said Stenhouse after finishing second. The second Duel did feature a last-lap pass for the lead, as Clint Bowyer was overcome by Joey Logano – who had drafting help from Penske team-mate Ryan Blaney – in the closing stages. 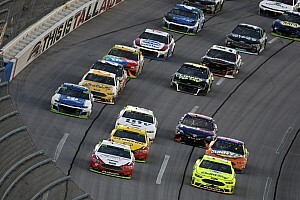 Bowyer said the fact the leaders could run so much quicker in a single file train was hard to ignore. “Once those cars get single file like that, just look at the lap times, that tells the story,” he said. “Those laptimes pick up a second, literally a second. The longer that chain got the faster I went up front. Drivers Ricky Stenhouse Jr. , Clint Bowyer , Dale Earnhardt Jr.